Congratulations to the winners of the 2018 Tucson College Night Scholarship Drawing. Each student will receive a $500.00 scholarship to the university/college of their choice when they register for classes in the fall. Colleges and universities from around the nation will be attending! Check the List of Participating Colleges and Universities for the complete list. This event is sponsored by the Tucson Unified School District. Over 200 college representatives from all over the United States will be present to talk to students and parents, answer questions and hand out materials. All interested students and parents are invited to attend Tucson College Night. 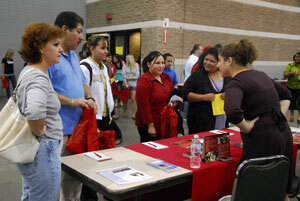 Tucson College Night draws from a diverse student population in southern Arizona. 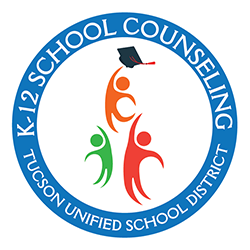 Students and parents from the entire Tucson Metropolitan area and neighboring Southern Arizona communities are invited to attend this event. It is advised that you arrive no later than 5:30 PM in order to park, find your table and set up your information. Large groups of students and parents are waiting at the doors when they open at 6:30 PM. 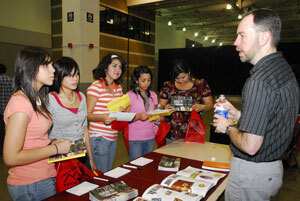 There are other events that take place at the TCC during Tucson College Night. All reps are advised to arrive early in order to avoid the possibility of having to wait in line to enter the parking area. El próximo 23 de octubre Tucson celebrara “College Night” la noche anual de información para la Universidad. Más de 200 universidades estarán presentes para proveer toda la información necesaria a estudiantes y padres de familia. Se llevara a cabo en el Centro de Convenciones de Tucson a partir de las 6:30pm. Lo esperamos!